Professor Dr. Diego Kuonen, CStat PStat CSci, founded in 2001 Statoo Consulting, a software-vendor independent Swiss consulting firm, where he serves as CEO and CAO. He has extensive experience in applying statistical engineering, statistical thinking, statistics, data science – a rebranding of data mining – and big data analytics within large and small companies and organisations in Switzerland and throughout Europe. In January 2016 Professor Dr. Diego Kuonen, CStat PStat CSci, was ranked 22th within Maptive’s global `Top 100 Big Data Experts to Follow in 2016’ list, and in February 2016 he was ranked 12th within Onalytica’s global `Big Data 2016: Top 100 Influencers and Brands' list. 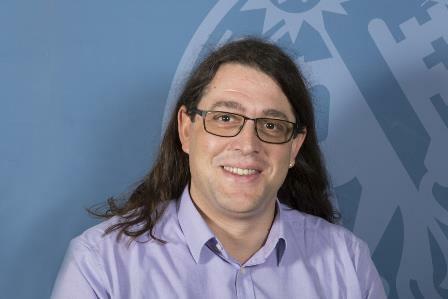 Professor Dr. Diego Kuonen, CStat PStat CSci, graduated in 1998 from the `Institute of Mathematics' at the `Swiss Federal Institute of Technology Lausanne' (EPFL) in Switzerland with a Master’s degree in Applied Statistics (MSc in Mathematics). In 2001 he received, under the supervision of Professor A. C. Davison, a PhD degree in Statistics (`Doctor in Science EPF' – the highest degree delivered at the EPFL). Both degrees were obtained for outstanding works in applied statistics, mainly in the interface of statistics and computer science. In addition, he is also Adjunct Professor of Data Science at the `Research Center for Statistics’ at the `Geneva School of Economics and Management’ (GSEM) at the University of Geneva, Switzerland, and Founding Director of GSEM’s new Master of Science in Business Analytics program. Currently, he is also the principal scientific and strategic big data and data science advisor and consultant for the Directorate, the Board of Management and the `New Data Sources´ working group of the Swiss Federal Statistical Office (FSO ) in Neuchâtel, Switzerland.